Today is the dawn of social media marketing, where people no longer debate on the importance of social media in creating an effective marketing strategy. Businesses around the world have already realized and maximized the power of social media not only in lead generation but in the conversion of leads into revenue. In the age of social media marketing, E-marketers have now the ability to reach and connect with their target market easier and in a more personal level. Quality content is the core of E- marketing. Consumers are already sick of traditional marketing words that they have been hearing for the past decades. You should know your market, make the content compelling, and offer what they need not what you have. Social media has been the biggest content marketing tool that makes content marketing easy to access for the target market. The hard part, thought, is making it not only with quality but enticing to the reader. In addition, the stiff competition against other brands, that are capable of creating quality content, is also a challenge. On Facebook, images receive 50% more interactions than text posts. Informative images are way more effective than articles; it can be visually stimulating and easier to apprehend. Infographics, a visual representation of helpful information that is intended to educate the reader with complex information quickly and clearly, improves cognition by using colorful graphic designs which enhances human understanding on the topic. LinkedIn is still the biggest social media for professionals with more than 230 million users and constantly growing. It is the top source of business related contents and is the premier social destination for business. Fueled d by corporate influencers comprised of high profile CEO, entrepreneurs, and business leader. Marketers should take advantage of LinkedIn’s branding, advertising, and product featuring opportunities. Social and Search: the killer duo. Google+ has a relatively greater intervention in Google search compared to other social networking sites; trends within it will continue to influence the search results listings. Apparently, Google’s search algorithms are greatly moved by quality content, keywords, and emphasized posts from its own social platform. Complemented with other Google services; built-in authorship verification, Google Analytics, and more, it will offer a sheer competitive advantage in social media marketing. Statistics are the most reliable basis of decision making, and social media developers understand this; that’s why they have been adding statistical feature, such as likes, shares, and +1’s, that will allow users to track social activities. Moreover, marketers will be able to understand customers’ online behavior using business software that can generate relevant statistics that are very helpful in decision making. After they understand certain customer pattern, marketers can immediately address existing issues by adjusting certain marketing parameters to neutralize these issues. Social media marketing is a relatively new trend but it immediately became a vital component of the modern marketing mix. Through leveraging and understanding the impacts of social media, companies will have a more dangerous edge against its competitors. Although we have utilized it as a form of marketing tool, we have not yet unleashed its full potential. It will take more knowledge, innovation, commitment, and competition to make social media marketing evolving. Yes, we have all heard of the arguments raised by both parties with regards to social media tools. After all, when it comes to marketing, you need to have one of the best means to communicate your business to business prospects. 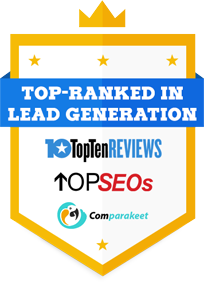 Lead generation is the process of looking for new business prospects, and you can only do that if you have the right tools for generating B2B leads. Among the most popular ways would be through social media marketing. And here lies the question: Which social media network will bring you more results, Google+ or Facebook? For most, this would be a no-brainer Hands down, they will say that Facebook trumps everything else. If we look at the numbers from Gigya, Facebook holds a fifty percent of the entire consumer market. Also, when it comes to business executives using social media to engage business prospects, only thirty-five percent of these executives are actively using Google to support their business. And when it comes to spending time on the network, the Google+ could not even keep their user for at least seven minutes, compared to almost seven hours that Facebook enjoys from its users. These are just some details that make us question whether Google+ can help us generate more sales leads. This could be attributed mainly to that common rule in marketing that we all probably heard about – ‘whoever comes here first is the winner’. In this case, Facebook has gained a good ground against other social media networks. They have started the trend, made a name for themselves, cultivated its connections, as well as constantly tweaking their system. This, plus the high conversion cost users face when they move all their details to Google+, makes Facebook a stronger contender in the marketing and appointment setting game. This is also the reason why business executives and marketers are wary of switching social media networks. Most of their customers are in Facebook, so why switch, right? As for Google+, no one is saying that you should just ignore it all together Certainly not me, even if I’m writing about Facebook’s lead in the market. To tell you the truth, you should embrace everything that can help you deal better with your market. If you have to work with a telemarketing team to do it, then by all means do so. Just take note of this, the focus of your marketing should be your audience. If you can figure out what your customers want, as well as come up with excellent offers, then there is a very high likelihood that they will do business with you. It is all about knowing what medium will get to them best. This is not as bad as you think it is. I mean, you can always use both Google+ and Facebook together. Google+ can be a big help in increasing your search page rankings, while Facebook can serve as excellent communication tool. These two are great assets for any appointment setting campaign that you may organize. Social media is a very powerful marketing tool, make no mistake about that. You are out of touch with the national news, like what happened with the National Rifle Association tweet the morning after the Aurora Theater shooting. You use automated replies, which was the case with Progressive Insurance. You create fake accounts to interact with others, just like what Chick-Fil-A did. An accidental tweet was sent, a good example would be the KitchenAid fiasco during Obama’s inauguration. McDonald’s attempt to create positive feedback through #McDStories backfired disastrously, since they ignored the current reputation of their brand. These are just some of the social media gaffes marketing companies make. It just shows just how bad social media can get for your B2B leads efforts. In any case, it would be better to focus on other marketing channels, like email and telemarketing. At least these are places that you can be sure of results. But if conversation is all you are after, then maybe social media can do the trick. Just make sure you do not make the same mistakes the previously-mentioned companies and organizations made. If the report released by social media monitoring firm Social Bakers in Australia is of any indication, then we are about to see social media juggernaut Facebook reach the peak of its greatness. Next stage we will be seeing might be its decline. Even the figures are not good in North America and Europe, according to Professor Larry Neale, social media marketing expert at the Queensland University of Technology Business School. This raises questions for those of us in the lead generation business and the future of generating sales leads using the social media environment. But it is not as bad as you think it is. To tell you the truth, social media is not the sole way to generate B2B leads from your market. And this might not actually be the best method at all. As far as B2B appointment setting is concerned, the results through Facebook and Twitter can be sketchy at best. We can attribute it to the very nature of social networks (interaction, engagement, trendy, youth-oriented). Considering that we are focus on B2B marketing, whose age range is mostly beyond the 18-34 segments, then investing in other communication tools would be best. For example, telemarketing and email still a viable and advisable means to contact business executives and managers. So, should marketers be scared over this development? Not at all. This is just a reminder of how quick market trends change. For a B2B lead generation campaign to be successful, we, as marketers, should know when to push forward with new strategies, or fall back to tried and tested methods. One of the nice things about our current business environment are the availability of ready information, both on the customer and the provider sides. With the explosion of social media and other information sites, information is right at your fingertips. While this can be a great help for your lead generation campaign, this can also act as a double-edged sword. Too much information can turn away potential B2B leads, but too little can also cause them to look for other sources. How will you achieve your B2B appointment setting aims, then? The key here would be context. You have to properly set up the expectations of your prospects. Using shock tactics can be a good idea, but you must remember to keep things under control. By no means should you employ tactics that might offend them, put a stain on your image, or ruin your credibility. There are many ways to get the attention of your prospects. For example, you can use B2B telemarketing services. This can help you identify potential sales leads and help you be more effective in reaching out to them. Still, the main point here would be your communication skills. You need to know what to say, when to say it, and for whom your message is for. That will be the most crucial point that you should consider when planning your lead generation campaign. It is all about you and your message. So, if you want to be effective in your B2B lead generation efforts, you might want to take a look at your sales pitch. How Can Telemarketing Help Social Media Marketing? The marketing landscape is constantly changing. What may seem to be a sure-fire marketing tactic may not be an appropriate method today. And the lead generation tools we scoff at in the past may be the latest aid we need for the modern market. Such is the case with social media. Nowadays, companies and marketers are touting this mediums ability to generate sales leads, as well as engage customers in meaningful conversations. But is that enough? Will social media be the answer all marketers are looking for? Can it replace the other marketing tools that are currently used today? Or will it be a marketing fad that will fade in time? There are just too many questions that has to be answered. We must first understand what social media is all about. Social media is a marketing strategy that uses social media networks like Twitter, Facebook, Pinterest, etc. The aim here is to increase the online presence of the company, encouraging more customer engagement and conversation. While this is very effective in increasing the awareness of the market, it is just that – increasing market awareness. Social media, for all the things it can do and achieve, is still not that effective in generating qualified B2B leads. Remember the Pepsi Refresh campaign? It is a major advertising campaign used by the company to hype up its social responsibility and presence to the market., and look at what it got the company into. From being second to Coke, Pepsi slid down to the third spot. What made it more painful was the new second place: Diet Coke. Considering the millions spent on this social marketing campaign, you can tell that this was a real sales disaster. This is certainly something that you do not wish to happen. In order for social media marketing to effectively generate more sales leads, you need another marketing tool to assist. It can come in many forms, but it seems like the best methods are the most disruptive in nature. In other words, these are marketing methods that actively and aggressively get in touch with prospects and help you with the task. Among the most preferred methods employed would be telemarketing. Yes, you would probably be complaining that this is an old (if not a negative) means of engaging prospects to buy or sign up to our offer. But in terms of effectiveness, when paired with social media marketing, you will see better results in terms of appointment setting success. What does it tell you about social media and lead generation? For one, it tells you that social media, as a marketing tactic, cannot bring sales leads on its own. You can spend a lot of money in your social media campaign, but just like the case with Pepsi, it might not be a bright idea. In order for it to be effective, you need to combine it with other marketing tools, like professional telemarketing services. Whether done in-house or through outsourcing, it will give you the right results. https://www.callboxinc.com.au/wp-content/uploads/2019/01/callbox-logo.png 0 0 admin https://www.callboxinc.com.au/wp-content/uploads/2019/01/callbox-logo.png admin2013-01-29 12:55:562018-05-10 11:30:36How Can Telemarketing Help Social Media Marketing? Will Social Media Replace Telemarketing? Social media is the rage, there is no doubt about it. With the Facebook, Twitter, blogs, and pictures all catching the attention of a huge number of people, it does have a lot of potentials for a professional lead generation campaign. It is new, it attracts a lot of prospects, and it can certainly help you engage them in a conversation. Surely, this is the best way to attract more B2B leads. It could very well replace telemarketing, right? Well, some marketers might disagree. Before you start saying that those who beg to differ are relics of the past, we must first identify the reasons why social media could not replace telemarketers in generating qualified sales leads. For one, social media is just that, social. It is merely a platform in which to engage prospects in a conversation, probably about things in common and interests. While it is good to talk to business prospects, the problem here is that some marketers are tempted to replace their entire campaign process with social media – which is a very bad move. Social media is meant to communicate with prospects. Other methods like telemarketing is meant to convert prospects into qualified sales leads. Believe it or not, calling people on the phone is a much needed medium for inside sales people. Another point to consider are the required steps in qualifying business leads. Social media will help you find prospects, yes, but it is not that efficient in qualifying the prospects. Indeed, there will be some details that will not be clear through this medium. If you want to be sure that your prospects will indeed become viable leads, then you need to perform a more in-depth check on them. And you can only do that by talking directly to them. Even if you cannot do it in person, at least you can use the phone for the job. A skilled lead generation specialist will be able to wring out the true details when the call. Of course, there is no reason to look at social media as below telemarketing. Indeed, both should be working side by side. You can only say so much on the phone without the prospect losing you. In case you need to say a few more details, social media services can provide that. You have to admit that these can be very powerful tools for inside sales. There are a lot of opportunities that can be found this way. And there are other tools available, like email and blogging. These can help you bring more customers to your business. Which will be all good for you. Basically speaking, the aim here is to make talking to prospects easier to make. Sure, cold calling may have its detractors, but this is where social media can help. While talking to prospects in blog posts and tweets, you can create there an opportunity, an opening in which you can directly communicate with them on the phone. That will help you get the job done better. admin https://www.callboxinc.com.au/wp-content/uploads/2019/01/callbox-logo.png admin2013-01-14 14:47:252018-05-10 11:33:14Will Social Media Replace Telemarketing? Should Marketers Pin Their Hopes On Pinterest? Pinterest has been stirring up excitement for users, marketers and investors this 2012. Marketers familiar with the site have been touting it as the next biggest lead generation tool. Operating on open beta since 2010, the site has been awarded the best new startup of 2011 by Techcrunch on its annual Crunchies Awards. The recent addition to the social media family is securing its niche in the art of hogging: DIY crafts, recipes, fashion, beauty products, tourist destinations, home decors, gardening ideas, etc. Practically anything on the internet that you find interesting. It’s “pin” button will allow you to take any content from anywhere on the web and pin it on your theme board. For now, the site is invite-only. This is probably because, as a startup, the developers are still doing ongoing modifications to the site, and the invite-only policy is to prevent overwhelming their servers while they roll out site updates. That, or it’s just a marketing tactic to instill a sense of security or exclusivity to the users. The site’s users are mostly female (a whopping 82% of the users are female, making it the most gender-biased social media site) who pin anything from manicured fingers to interior decoration. All pins are represented by an image, to which a link is attached that would take the viewer back to the original site should they want to view the original post. Pinterest is an image-heavy site, which makes it highly attractive, and the clean background is pleasing to the eyes. So what makes this online scrapbook so effective? Should marketers join Pinterest? Pinterest already has 10.4 million registered users in less than two years. Research statistics done by Shareaholic reveal that Pinterest “drives more referral traffic to sites than YouTube, Google+ and LinkedIn combined”. As of February 2012, Pinterest has generated 1.05% of referral traffic to websites, beating out Twitter who only drove .82%. It’s true that this new social media will do wonders for businesses catering to women, babies, and children in particular. But UK’s pinterest user statistics reveal that there are actually more male (56%) users compared to females (44%), and more than 20% of these users have income ranging from $100,000-$150,000. Now that’s something for marketing people to think about. Pinterest’s backlinking capabilities also offer great SEO opportunities for your company’s websites, providing excellent lead generation potential. Also, the user’s pins usually reflect what they need and want; which provides a great standard for enhancing your sales and marketing strategies to better appeal to your target market. Since it’s an extremely visually stimulating site, marketers who have businesses that deal with anything but creative are having doubts on whether it will help with lead generation from their target market. However, companies offering like, say, automobile services, can still use this site to attract customers and inevitably generate sales leads by utilizing colorful and informative infographics, or create upcycled crafts from old automobile parts that customers can try themselves. Perhaps the most important thing for marketers is that they have to be present where their target market is. It’s the same thing as Facebook and Twitter; being where your market is increases your chances of being noticed. And the markets are currently congregating in Pinterest. https://www.callboxinc.com.au/wp-content/uploads/2019/01/callbox-logo.png 0 0 admin https://www.callboxinc.com.au/wp-content/uploads/2019/01/callbox-logo.png admin2012-03-18 18:48:322018-05-08 14:49:20Should Marketers Pin Their Hopes On Pinterest?